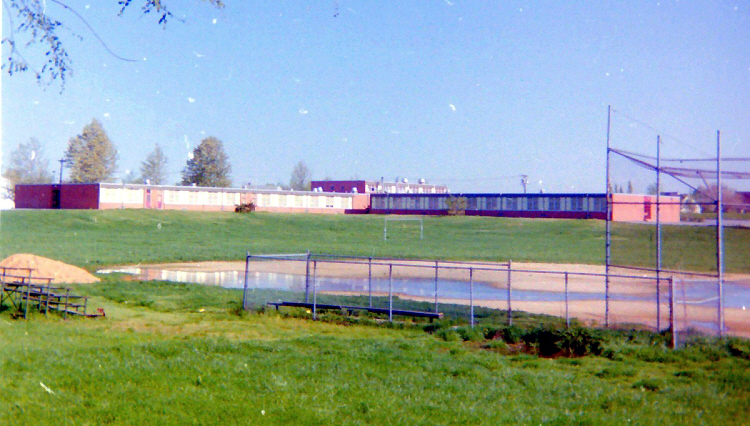 This is a view of the back field of the school before the addition of the 1988 wing. 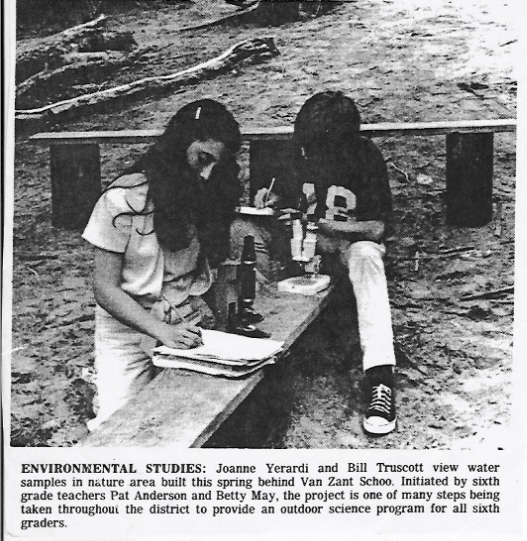 Construction of the 1988 expansion at Van Zant. Additional classrooms, new Library and Cafeteria were added with this wing, along with some modifications to the original building. 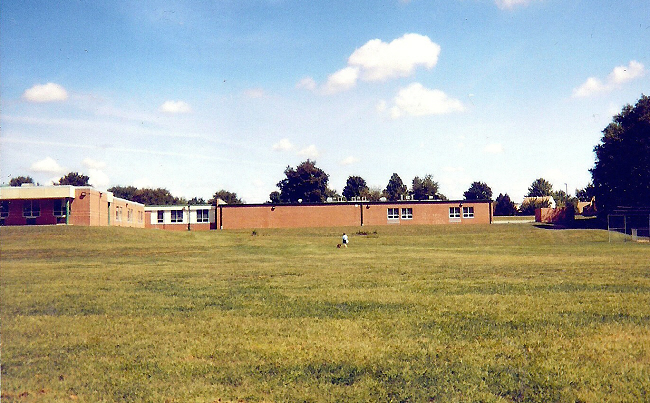 The 1988 wing after completion. 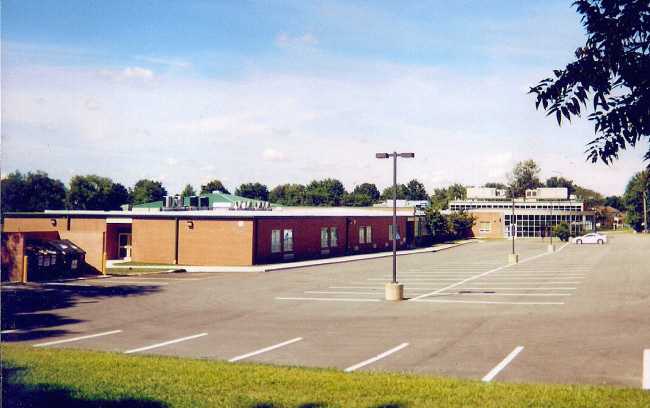 During the Summer of 2000, construction was completed on a second addition providing additional classrooms, replacing two trailers that were installed at the front of the school to relieve crowding. Modifications were made to the existing building at this time as well. 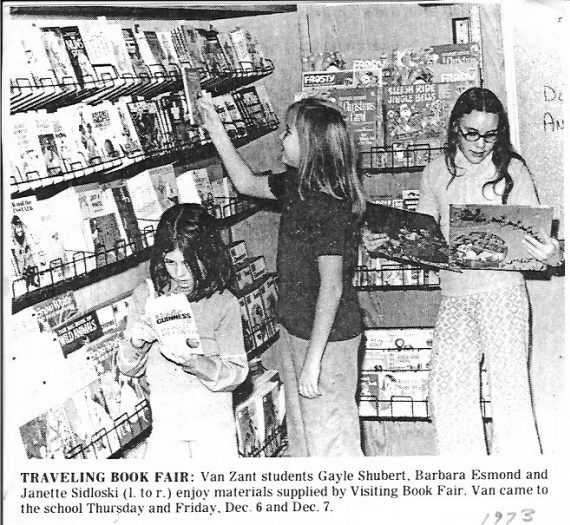 For more information about Van Zant School visit the Van Zant School Website. 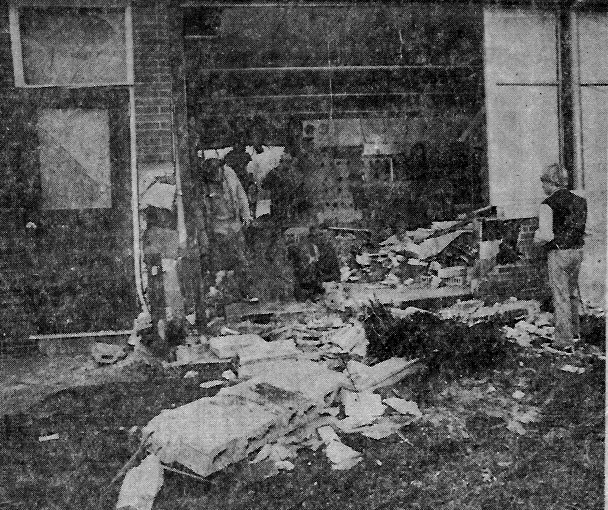 This gaping hole was left behind by vandals who rammed a front-end loader into the school early on Thanksgiving morning 1978. The loader was stolen from a construction site behind the school and was driven clear through two primary classrooms and the corridor at the end of the primary wing. 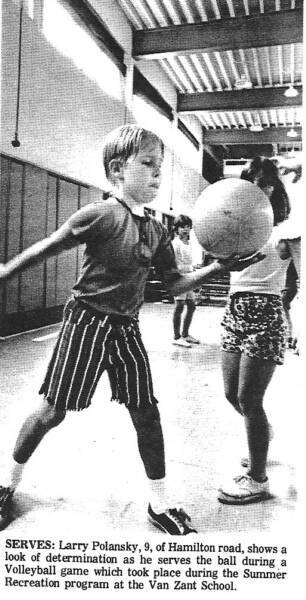 Those of us who had Miss Hills for 5th grade may remember she had Technology For Children (T4C) in her class. 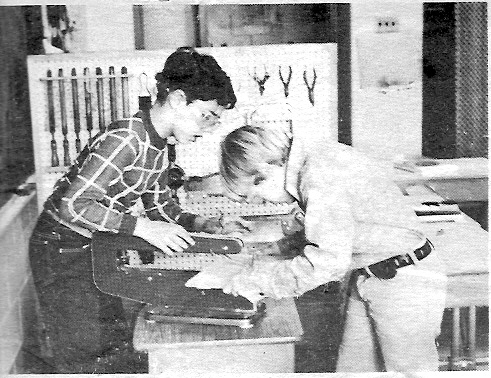 This December, 1974 photo shows Steven Carbone and Bobby Wallauer taking part in the program making Christmas decorations. Photos of the 2000 wing.